Dark: The energy that fills space in the absence of light. It is not that the space is not filled. It is that light is not the means of viewing this space. However, when light arrives, it fills it (or not) depending on the intensity of the power of darkness within it. 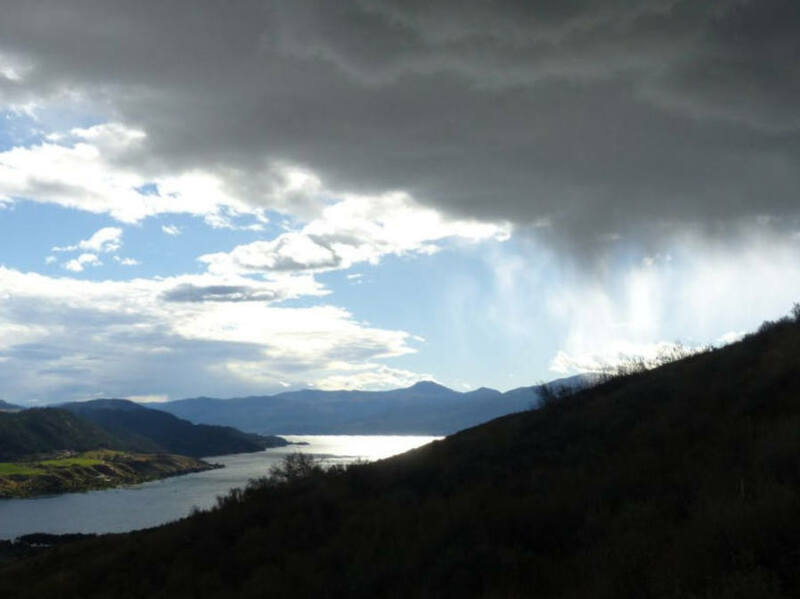 In the image below, the lake fills with light but the hills fill with the dark of the late September hailstorm above. 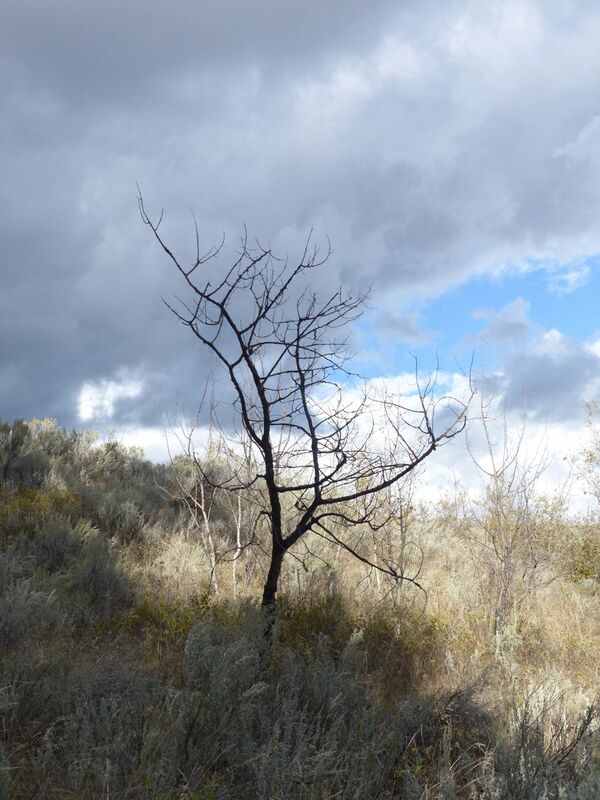 In the image below, the dead aspen tree fills with the cliff shadow cast over it more profoundly than does the grass, and to a greater intensity than the darkness of the deepening clouds (15 minutes shy of hail). These readings are exact and true. They both illuminate and give shape to the world. They are, in effect, both the same.